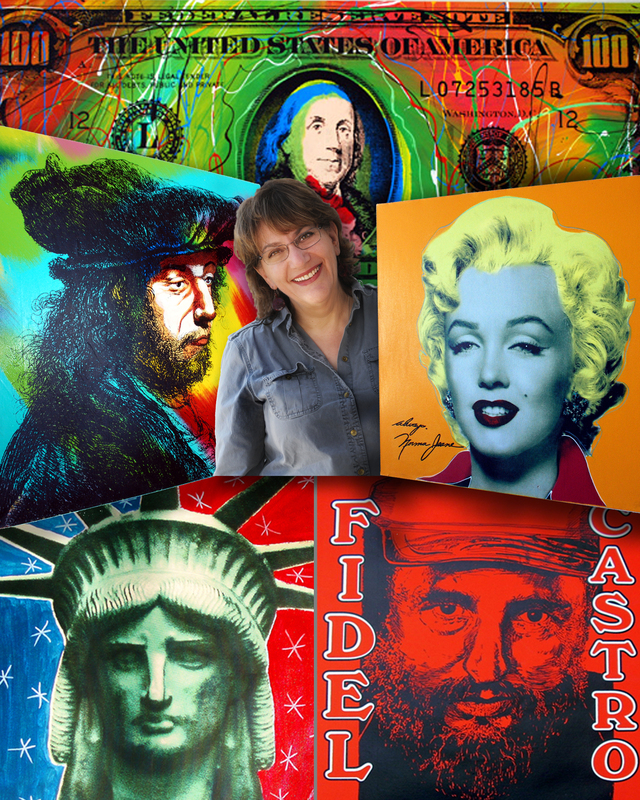 Diana Vachier is an art enthusiast with a passion for pop art and Steve Kaufman Paintings. She is the owner of American Pop Art, Inc., and a longtime friend of the late Steve Kaufman. You can visit her web site at www.americanpopartinc.com. Photo of Diana by Karen Mandraccia. Morning, I had to delete and re -post that last post so I am not sure If you got my response. But it went like this: I read several books on going so books have away of overlapping, but to pick one favorite, I guess it would have to be Grapes of Wrath, that book started things and afterwards I had to read everything Steinbeck wrote. What is your favorite book? I was a big ready years ago but not so much now. It goes in waves for me but one of my favorite books was Replay by Ken Grimwood. I just found the concept so interesting. I read it like 20 years ago and it still makes me think about the idea of the story. I remember struggling through the classic books in school and unfortunately I don’t appreciate them like I should. I know they are great though. Reading is not for everyone, I think if I was wired differently, that is if my environment would have allowed maybe for more positive outlets, I would spend more time doing and less time hiding/finding myself in books. Is your appreciation of the arts centered on paintings per se? Or the ideas behind the paintings? Or both? My love of art runs a wide range of reasons. The history of the artist, the painting, the subject and the feelings it gives me. I have always been a pop art fan and that’s why i zeroed in on Steve Kaufman. He was never held down to a style or what was saleable. He painted what he wanted and always stepped out of the box. I have 11 paintings of his on my home and not one looks like another. And to me it’s happy art. I feel good when I see it. So there are many reasons for my love and appreciation of art.